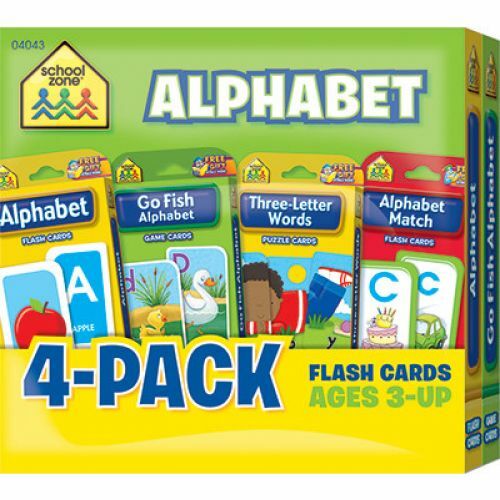 Four colorful flash card sets in one package offer 4 times the learning! Our proven flash cards and game cards introduce essential readiness skills like counting, matching, beginning sounds, reading and more. A great send-home resource for extra reinforcement! Includes Alphabet; Alphabet Match; Go Fish: Alphabet; and Three-Letter Words.